You don’t have to trek deep in the heart of Texas to touch a piece of its soul. The Lone Star state stands out from other states due to its historical significance, globally worshipped barbecue cuisine, culturally influential music festivals, and folksy bars and restaurants. Unless you are making a long-term tourist visit, you may have a lot of time to do everything that you want. Well, here are a few places you should check out. What kind of restaurant open early and can suddenly close at a moment’s notice because all of the food runs out due to insatiable consumer demand? The best kind! The Franklin Barbecue was founded by Aaron Franklin, an esteemed James Beard award winner. Franklin Barbecue started as a small trailer and grew into a restaurant and local Austin institution. Customers begin waiting in line at 6:30 AM to secure a spot. Franklin spent years perfecting his craft of making the most succulent, well-smoked, and juicy barbecue brisket in all of Texas. Not visiting during a visit isn’t a crime, but it should be. SXSW got its start way back in 1987 as a local music festival. In the decades since, it has grown into a globally influential exhibition stage for the musicians, filmmakers, politicians, tech & computer experts, writers, and experts of every stratum of industry introduce themselves to the world. The films, music, technology and cultural ideas that premiere at SXSW become the social focus of the country for years to come. Make a point to be there if you can during your visit. Most people only hear about what occurred at SXSW on news websites. Claim your bragging rights to be ahead of the cultural curve of everyone else. As a tourist, you only have a limited time to acclimate to your surroundings. There is always time to go to a bar or a concert. Do you want to make time to learn about the city you are visiting? Well, there is nothing small about Texas, and one of its most outstanding features is its history. At the Bullock Museum, you can stand witness to over four hundred years of Texas history. You can learn about the Buffalo Soldier trials, the history of the Bush family political dynasty, the Kennedy Assassination, and more. The staff is courteous, helpful, and there are numerous technologically interactive exhibits as well. 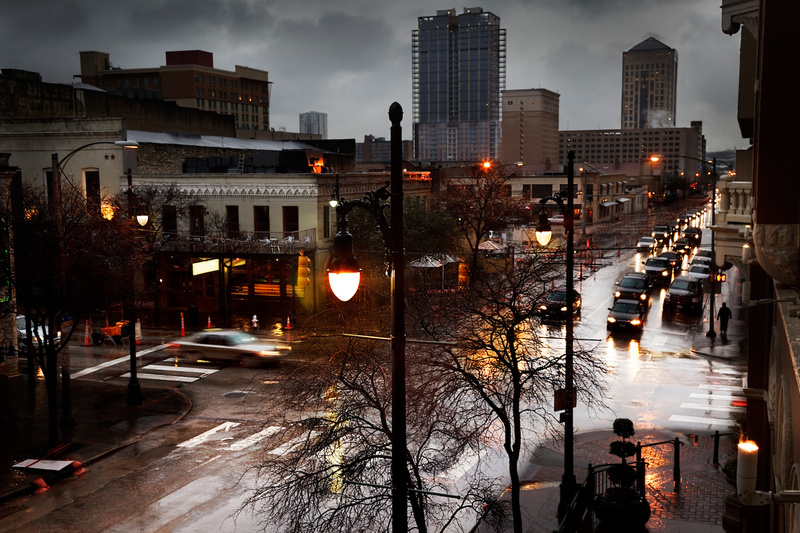 If you are staying near the downtown area of Austin, you are within minutes of the award-winning Viva Day Spa. What’s a fun action-packed trip without some relaxation time. Viva Day Spa has amazing signature spa services that will rejuvenate you. Their Celebration Spa Package is a nearly four-hour long treatment that includes a 60-minute Swedish massage. And if you happen to be in town with your significant other, they offer couples massages as well. Tex-Mex can be an all-inclusive restaurant term that can be divine when done right. Or, mediocre and pedestrian when prepared without care for flavor intensity or the right fusion of culturally disparate ingredients. There are a multitude of taco trucks throughout Texas, but there is a franchise fleet that you should acquaint yourself with if you are in the area. Veracruz All Natural is locally revered for their breakfast taco menu. Try the Migas Taco, which is stuffed with avocado, eggs, Pico de Gallo, and cheese. Allen Boots has been a tourist mecca since its opening in 1977. You can buy custom made snakeskin boots, crocodile skin boots, leather boots, or boots made of a wide variety of materials. Although the store is known for its boots, you can also buy hats, belts, and other accessories as well. Allen Boots has two locations. Try to visit when there are a live music set and complimentary free drinks be offered. Austin, Texas may not be one of the cities on your go-to or Bucket List, but it should be. Most tourists are determined to visit the remote and farthest flung places on Earth to experience life. If you live in the United States, it turns out that you don’t have to travel very far to have the experience of a lifetime.